I believe eating in moderation is always the way to go for long-term weight loss success. However, there is one food I will literally binge on without question during the summer: ice cream. I would love to be able to keep some in the freezer and have a little here and there, but it’s just not possible. I’ve tried, and it just doesn’t work for me. So instead of depriving myself, I make these delicious Banana Nutter Bites that are pretty close to the real deal. I first discovered these when craving ice cream badly when following the 21 Day Fix. The best part? They’re easy to make and only take two or three ingredients for the perfect blend of ice cold creamy peanut butter sweetness! This recipe only calls for ripe bananas, peanut butter, and a little bit of unsweetened cocoa powder if you choose. I’ve had them both ways, and I enjoy them more with just peanut butter. However, I am planning on dipping in melted dark chocolate and freezing them for an ultra decadent chocolatey peanut butter treat! 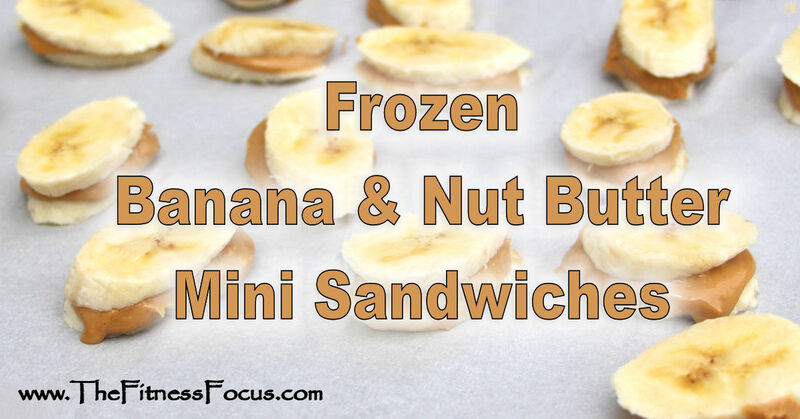 I’ll share how to make these little banana and peanut butter dessert sandwiches below after quickly going over why they’re so good for you. Did you know that bananas are one of the most commonly eaten fruits in the entire world? I didn’t either. But for good reason. They’re tasty, especially when perfectly ripe. One medium-sized banana contains around 110 calories, 30 grams of carbohydrates, and 1 gram of protein. Vitamin B6: This vitamin is important for proper brain development. It helps the body produce the hormone serotonin and norepinephrine, both of which help regulate mood. Potassium: This mineral promotes a healthy heart by signaling the heart to pump blood through your body, helps your muscles to move, helps your nerves to function properly, and helps your kidneys to effectively filter blood. Vitamin C: This powerful antioxidant helps protect the body’s cells from damage that are caused by free radicals in the body. 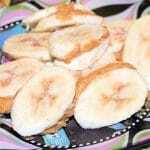 While there are reasons to eat green bananas over fully ripened bananas on a regular basis, for this recipe, you will want to use ripe but not overly ripe bananas that are mushy. To properly ripen a banana, let it sit out at room temperature until it turns a nice shade of yellow and begins to feel soft. Do not fear fat! Please!!! And yes, I still have to remind myself of this sometimes. How can something that tastes so good also be healthy for us? Because nuts and the nut butters they produce are high in unsaturated fats. While the macronutrient content of different nut butters will vary slightly, in 1 tablespoon of almond butter, you get about a 100 calories, 9 grams of fat, 3 grams of carbs, and 2 grams of protein. Zinc: This mineral promotes a healthy immune function by fighting off viruses and other bacteria. Vitamin E: This vitamin promotes a healthy immune system and helps protect the skin and eyes from free radical damage. Selenium: This mineral is helpful in maintaining healthy body processes such as a healthy immune system, healthy cognitive functioning, and male and female fertility. That is just a short list of the health benefits nuts provide our bodies with. You just have to remember healthy fats are very important to the proper function of the living cells that our bodies are made of. 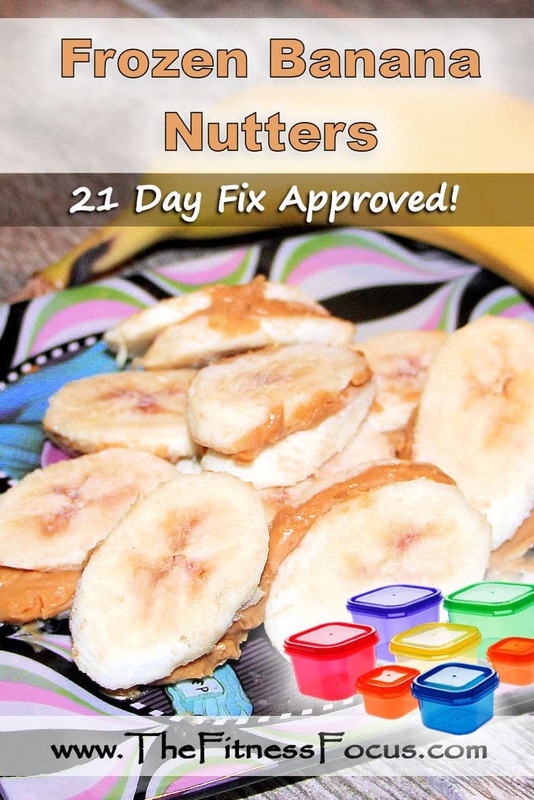 If you are following a Beachbody program, these frozen banana and peanut butter treats can be enjoyed on any program that you’re following, including the popular 21 Day Fix and 80 Day Obsession programs. They can also be enjoyed if you are following the new 2B Mindset nutrition program! What are your favorite nut butter recipes. Please share a link or recipe below in the comments.